With the WBC in full swing, spring training has taken a backseat in the baseball world. With less attention, some teams have not received the recognition they deserve due to surprisingly strong spring training performances thus far. Others have reaped the benefit of the lessened coverage and have not had to deal with the media scrutiny of a slow spring start. This was an action packed offseason where almost every team made some kind of significant move either through free agent acquisitions, trades, or even by switching leagues. The moves worked better for some than others. Whether the trade to acquire former Tampa Bay Rays hurler James Shields energized the organization or if all the youth is finally ready for a breakthrough remains unknown, but the Kansas City Royals have come out like a team possessed this spring. A major league best 16-2 mark has Kansas City looking like they may be legit contenders this season. 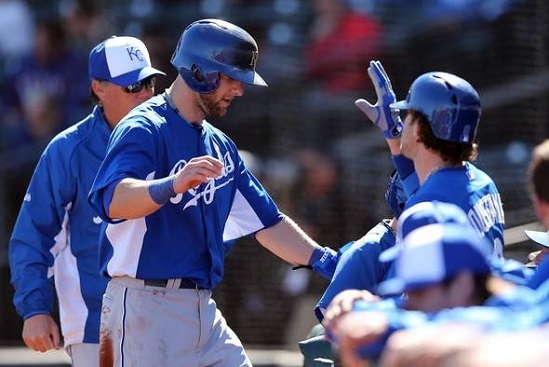 The Royals have scored 131 runs and only allowed 75, both second in the majors. Solid all-around play has Kansas City fans eager to see what the summer has in store for them. Another attention grabbing team is the Seattle Mariners. Entering the spring, the general belief was that Seattle would be in a battle with the Houston Astros for last place in the American League West. However, the offseason acquisitions of Raul Ibanez, Kendry Morales and Mike Morse has the Mariners looking like they could possibly make some noise this year. Combine those bats with an improved pitching staff and further development of young players like Jesus Montero and Dustin Ackley, and Seattle may take a nice showing in the spring and turn it into a surprising season. Of course with the good, comes the bad, and the main shockers for all the wrong reasons happen to play in close proximity to one another. Terrible. Disappointing. Lackluster. Use any of these adjectives to describe the spring training performances of the Los Angeles Angels and the Los Angeles Dodgers. They say money can not buy happiness, and if spring training is any indication of what is to come, then it can not buy rings, either. Two of the biggest spenders of the offseason both find themselves with two of the three worst records in all of baseball. The Dodgers find themselves sitting at 6-10, while the Angels find themselves at an abysmal 4-12. Two star-studded rosters are looking like the biggest underachievers in the league. The Dodgers have a major league worst -27 run differential, mainly due to the absence of some of their premier bats that are participating in the World Baseball Classic. The Angels on the other hand have less of an excuse. Their Achilles heel this spring has been pitching. The offense has produced to the tune of 123 runs scored, but the pitchers have allowed a ML worst 137 runs. After dealing away some key arms in the offseason, this year's squad looks like they will try and outscore their opponents as opposed to relying on pitching, defense and small ball tactics like in previous seasons. This might bring some of the most exciting times and some of the most frustrating times for Angel fans. Although many answers are usually provided in the spring, take these performances and stats done in Arizona and Florida with a grain of salt. Even though there are quite a few shockers taking place around the league, it's still just the spring. Anything is possible over the span of a 162-game season. But for now, these teams are certainly giving us something to talk about.